Owner operators can pay up to $6,000 to insure just one single-axle dump truck. That’s a lot of money, and tandem and triple-axle dump trucks have even higher rates! 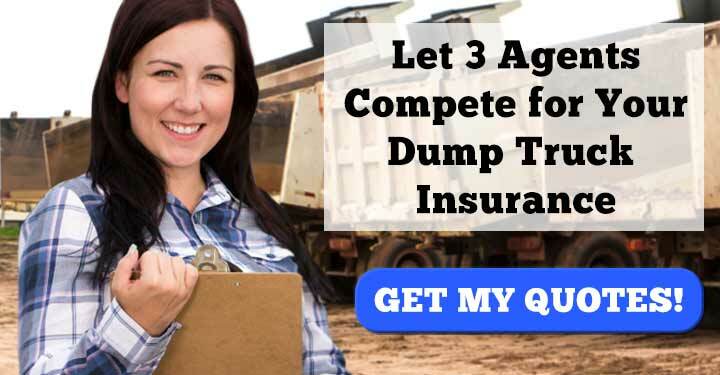 It’s your responsibility to do everything you can to get a cheap dump truck insurance rate so you aren’t paying more than you have to… for something you probably won’t ever use. The best way to get a good rate on dump truck insurance is to look at multiple plans at once and choose the one with the lowest price tag. This is often difficult since dump truck insurance companies ask you to jump through so many hoops before they actually disclose their rate. You can bypass all these hoops by filling out this single form. It will get you in touch with three insurance agents at once, who will then offer you an exact quote that you can keep or reject. An insurance limit is the maximum amount an insurance company will pay following an accident. A deductible is the amount you must pay out of pocket following an accident. By opting for a lower limit and higher deductible, you can get a lower rate on your premium. Be aware, however, that if you do get into an accident you could end up paying more than you saved. So be careful. Dump truck insurance companies can offer you a cheaper rate if you buy multiple coverages from them. An owner/operator might choose to get liability, physical damage, and cargo coverage from the same company instead of buying these coverages piecemeal from different sources. A fleet owner might insure all of his dump trucks under one policy instead of taking out individual policies for each truck. Say you only use your dump truck during the spring, summer, and fall. Certain insurance companies will let you opt out of coverage during the winter months while reducing your bill. Instead of paying month-to-month, consider paying your entire premium at the beginning of the year. Insurance companies will often offer discounted rates to customers who pay their entire premium upfront. 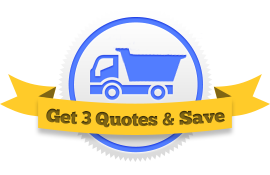 You can start looking for cheap insurance policies by going to our Request Three Quotes page. 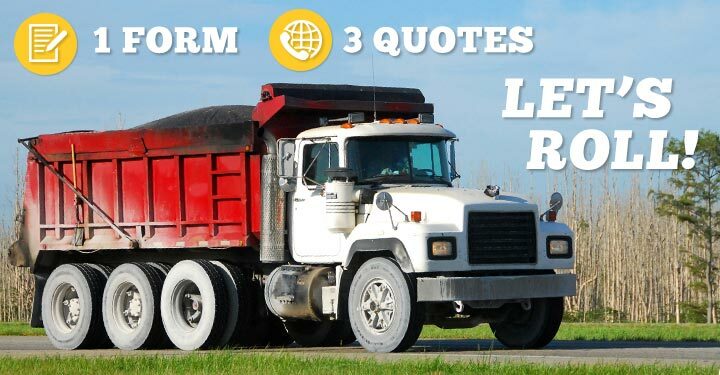 We’ll get you in touch with three dump truck insurance agents who’ll each offer you a low rate. You can then pick the coverage that works best for you. Get started now!